More international aid pours into Mozambique - SABC News - Breaking news, special reports, world, business, sport coverage of all South African current events. Africa's news leader. Disease is threatening to aggravate the already dire conditions facing millions of survivors following the powerful tropical cyclone which ravaged southern Africa 10 days ago. 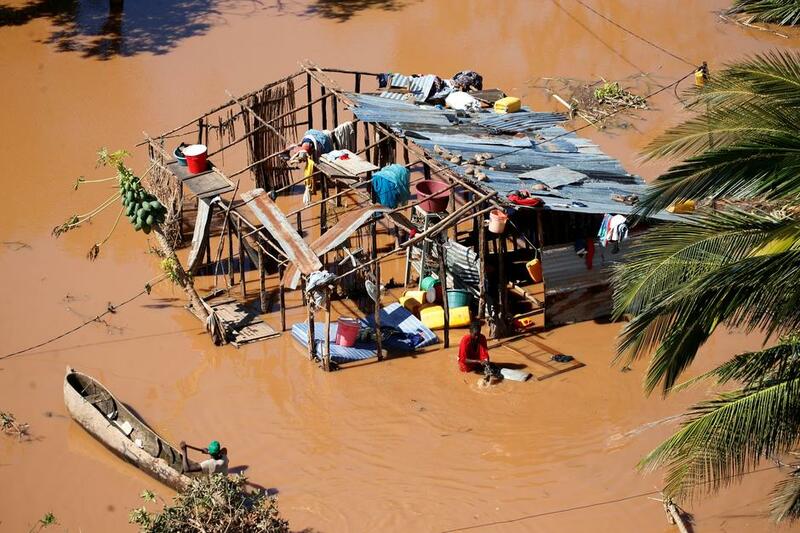 Cyclone Idai smashed into Mozambique’s coast unleashing hurricane-force wind and rain that flooded swathes of the poor country before battering eastern Zimbabwe – killing 705 people across the two nations. Speaking at a briefing in Beira, 1 000 kilometres northeast of the Mozambique capital Maputo, Lands Minister Celso Correia said it was now “inevitable that cases of cholera and malaria will arise”. The UN Office for the Coordination of Humanitarian Affairs’ deputy head Sebastian Rhodes Stampa, also at the briefing, warned that disease outbreaks in inaccessible areas could be “really problematic”. Aid workers from across the world are continuing to arrive in the region to bring help to hundreds of thousands of affected people across an area of roughly 3,000 square kilometres. “The government is already setting up a cholera treatment centre to mitigate cholera. We should not be frightened when cholera issues arise,” added Correia, describing efforts to control the emerging humanitarian crisis. Wilfried Deliviai, a 19-year-old resident of Beira which was caught in the eye of the storm, said he felt “sorry for our town, our city, because we suffered a lot to build it”. “Houses are completely destroyed, and some people don’t have money to rebuild their businesses — and many businesses are going to fail,” he told AFP. In its daily update, OCHA said 74 600 women impacted by the cyclone are pregnant and around 60% of them are due to give birth within the next six months. At least 7 460 of them are at risk of life threatening complications. Stampa described efforts to re-open the main access road to Beira as a “big victory”. “We will be able to bring more help to families living in this affected area,” he said. As many as 109 000 people are living in shelters across central Mozambique, many of them located in and around Beira. Those shelters also “run the risk of infectious disease such as diarrhea and measles“, James McQuen Patterson, UNICEF’s health and nutrition chief told AFP. “Further, as many families have lost everything, some sleeping in the open, the risk of pneumonia, particularly among children increases considerably,” he said. This entry was posted on 25 Mar 2019,12:54PM at 12:54 PM and is filed under mobile-leadstory, Africa. You can follow any responses to this entry through the RSS 2.0 feed. Both comments and pings are currently closed.